The goal of BRILLIANT KIDS is to help children become brilliant and take active parts in an international society. BRILLIANT KIDS adopts a developmentally appropriate curriculum from USA as a core curriculum. 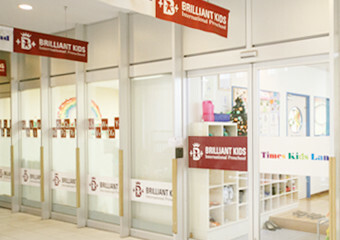 BRILLIANT KIDS provides children with high quality programs through good learning environments and fun activities like Music & Movement, Arts, Science, Math, Literacy, Social Study, etc. BRILLIANT KIDS helps children develop self-esteem, creativity, thinking skills, English communication skills, social skills and become enthusiastic learners with creative programs like Readiness,Toddler-Preschool,After-School,and Active Learner.